Some books deserve to get gritty with spills and smudges of oil and parmesan cheese. 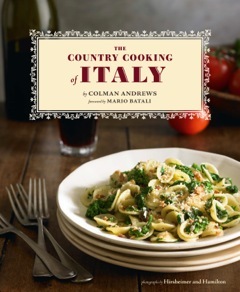 But that is not the case with Colman Andrews’ new THE COUNTRY COOKING OF ITALY (Chronicle Books). It is door-stop big and glossy. Crammed with photographs. It could easily tempt you to use your frequent flyer miles visiting the culinary regions of Italy or curl up in an armchair reading about his personal favorites. Andrews has selected rustic and rural recipes as well proverbs, legends, anecdotes, and tips on where to eat, including some of the best seafood restaurants in Venice. The recipes are not at all daunting. You will be tempted to try his various risottos, raviolis, and ribollita (a twice-cooked Tuscan soup). Most of the ingredients are readily, but just in case, Andrews lists sources for everything from truffle shavers to Italian-style cured meats. 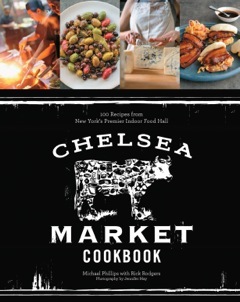 The Chelsea Market at 75 Ninth Avenue in the Meatpacking District is New York’s popular, indoor food market. To mark its 15th year, Michael Phillips and Rick Rodgers have collaborated on the CHELSEA MARKET COOKBOOK: 100 Recipes from New York’s Premier Indoor Food Hall (Stewart, Tabori & Chang). Along with recipes you could prepare for any occasion from brunch to a formal dinner, the authors include what they call “market voices” where vendors talk about their business in personal terms and also “Tips from the Pros,” advice about how to improve home cooking. Jacques Torres’ recipe for hot chocolate in many flavors is a winner. 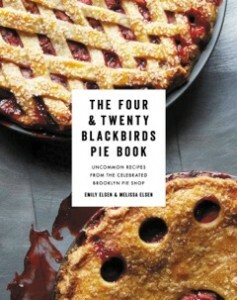 The chapter on breads and sweet baked goods includes New York favorites such as pecan sticky buns from Amy’s Bread and the much-loved Eleni’s Christmas Tree Sugar Cookies. 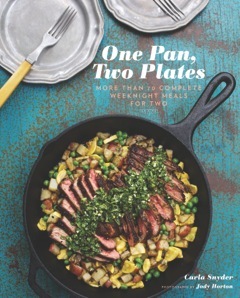 ONE PAN, TWO PLATES (Chronicle Books) by Carla Snyder is an empty-nesters cookbook. For those who are used to doubling recipes for a large family, this is your how-to-scale- back compendium of about 70 complete meals for two. Her sections on “find it fast” dinners you can make in 30 minutes or less and a very complete index along with detailed instructions are a nice safety net for anyone who doesn’t want to spend a lot of time at the chopping block or the stove. 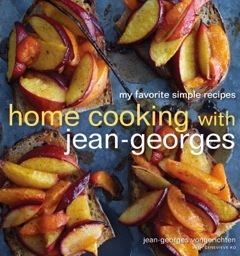 HOME COOKING WITH JEAN-GEORGES (Clarkson Potter) by Jean-Georges Vongerichten written in collaboration with Genevieve Ko is subtitled “My favorite simple recipes.” These are the recipes this world-wide renowned chef cooks in the country with his family. As he writes in the introduction: “My home-cooked meals are a far cry from the formality of my plated restaurant dishes, but they deliver the same intricate balance of flavors and textures that make them delicious.” This is especially true of the chef’s chapter on salads which layer together all sorts of simple ingredients, built on contrasts – crunchy, tender, chewy, crisp, and creamy. His meat and fish dishes are intensely flavored, but they take a fair amount of serious marketing and careful analysis of ingredients before you even start the oven. Jena-Georges’ siders are inspired. And if you have been hunting for a foolproof tarte tatin recipe, you can’t do much better than Jean-Georges’. 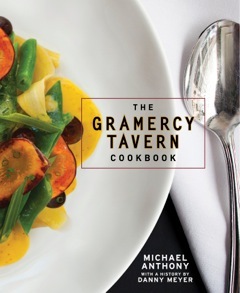 THE GRAMERCY TAVERN COOKBOOK (Clarkson Potter) by Michael Anthony was a long time coming. It’s taken what seems like forever for the restaurant to publish a cookbook of its recipes. You might think they are for the experienced cook in a near-professional home kitchen. But Anthony makes it clear that his goal is not “…to have you slavishly reproduce dishes that require a professional staff.” Instead, he has seasonal recipes, definitely not labor-intensive that can raise you to another level of culinary expertise while patching together healthy and exciting menus. ALICE WATERS, THE ART OF SIMPLE FOOD II: Recipes, Flavor, and Inspiration from the New Kitchen Garden (Clarkson Potter) by the iconic Waters contains roughly 200 new recipes. 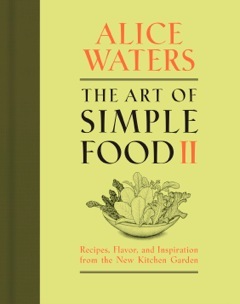 Author of some 12 books, Waters is a legendary American chef, owner of California’s Chez Panisse, a restaurant famous for its organic, locally grown food. Waters is also an energetic pioneer who singlehandedly took on the establishment to change lunch choices in public schools. Her Edible School Yard project is rapidly gaining attention and instigating much needed changes nationwide. So it should come as no surprise that this fruit-and-vegetable focused book will push you into the garden or a balcony to start growing your own. Even if you don’t have a window-sill to grow a few herbs, Waters urges you to buy from your local farmer’s market and then provides the recipes you need for healthful eats. NEW VEGETARIAN (Chronicle Books) by Robin Asbell, is for anyone seeking new ways to serve veggie-based meals to please the omnivorous as well as non-meat eaters. Asbell, both cook and caterer, has pulled together recipes that are practical and nutritional information so you can prepare not just tasteful but well-balanced meals For some people, the appetizers and light meal recipes alone would be worth the price of the book. How tempting it might be to make a meal of kimchi dumplings, mushroom påté, and lemon-parmesan spears in phyllo. The main courses lean heavily towards international cuisine and meat entrées are built around good sources of protein. THE FOUR & TWENTY BLACKBIRDS PIE BOOK (Grand Central Publishing) by Emily Elsen and Melissa Elsen, owners of the eponymous Brooklyn Pie Shop. Travel & Leisure named their signature Salted Caramel Apple pie “ one of the best 20 pies in America.” Danny Meyer whose Union Square Hospitality Group has created some of the most celebrated restaurants, has called the Elsen sisters’ pies “so satisfying and deliriously delicious that they left every other pie we sampled in the dust.” The sisters were born and raised in rural South Dakota and learned to bake from their grandmother. Their recipes and instructions are not humble pie. Just consider crusts ranging from all-butter to pistachio coconut and more than 60 pie recipes organized by season.